It looks as if YouTube and its owner, Google, may have come up with a revolutionary new idea that could save classical music from extinction in the digital internet age. If you have ever been moved by a string quartet, an opera aria or a cello concerto, you should give a warm welcome to the birth of the YouTube Symphony Orchestra, announced on 1 December this year (2008) and launched at the New York and London offices of Google. “YouTube Symphony Orchestra” looks at first sight like a sort of oxymoron, but don’t laugh. If it all goes according to plan, a symphony concert at the Carnegie Hall in New York in April 2009 will mark the culmination of an extraordinary global collaboration between both professional and amateur musicians that is going to use the power of the internet to marginalise constraints of distance and time change to produce a symphony orchestra and even an original orchestral performance of a completely new kind. The idea is to bring together a collaborative orchestra online by targeting as many musicians as possible around the world, made possible by the internet revolution. For the project, Tan Dun has composed the “Internet Symphony No 1, ‘Eroica,’” a piece which attempts to conjure a “21st century sound,” and which features hubcaps in the percussion section. By going to www.youtube.com/symphony, you can watch his performance with the London Symphony Orchestra. Then anyone from Tasmania to Timbuktu, from Trenton to Tokyo, is invited to audition online now until January 28. 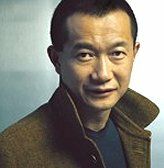 Just download the part of your choice – violin, flute, bassoon, whatever – and play it with Tan Dun giving you the downbeat. You must also submit a video that shows off your musical and technical abilities. Hundreds if not thousands of entries are expected. Then a panel made up of experts drawn from the LSO, the Berlin Philharmonic, the San Francisco Symphony and other leading orchestras, will choose a group of semi-finalists in February 2009. This is eventually winnowed down to the lucky finalists in March – determined by vote on YouTube. The democratisation of classical music has never been so palpable. In addition to the culminating Carnegie performance, the most impressive videos submitted will be “mashed together” to create a YouTube Symphony, presumably watchable online. You can watch and hear Tan Dun, who has composed the inaugural symphony, and his collaborators talking about the project here. And Tan Dun conducts the LSO in a performance of his symphony — including the hub-caps and car brake disks used as instruments — here. If news of this project doesn’t energise flagging music departments and school orchestras all over the world, nothing will. Classical music purists (including me) may raise a sceptical eyebrow or two at the idea of choosing the orchestra performers at the final stage of the selection process by popular vote on YouTube, a palpable concession to the current vogue for ‘reality TV’ and shows such as the Popstars series, America’s Got Talent, Dancing with the Stars, and Celebrity Duets, in which winners are ‘selected’ by the votes of viewers. But if this increases popular interest and involvement in the whole project, good luck to it. Anyway, since the earlier stages of selection will be in the hands of professional musicians, there should be no risk of the final outcome being corrupted by what one might call the John Sergeant effect. So get that dusty viola down from the attic, all you musical geniuses out there; polish up the long neglected clarinet, and get the old piano tuned. Then download your score from YouTube and get practising. And if you’re a school music teacher, now’s the time to expose your star pupils to a spot of global competition. Who knows? They might yet be on the plane to New York to start rehearsing next March. The danger that the glories of classical music might have lapsed into oblivion in 20 years or so might yet be kept at bay. I ought, I suppose, to declare an extremely indirect interest in all this. The prominent classical music promotion and consultancy firm 21C Media Group, based in New York, has been involved closely with the YouTube Symphony Orchestra project since its conception about a year ago (see the press release on its website here). I have no financial stake in 21C, only a proud paternal one, explained here. Hi Brian, Many apologies – my comment was pretty much intended to be tongue in cheek which probably didn’t come over too well. It is, in fact, a really good idea. As to Classic FM, whilst I don’t listen to it myself (last time I did I found myself listening to random movements from different orchestral works rather than the entire thing) many people whose judgment and taste I respect do and really like it. As to R3 when I last checked in it seemed to have muted the utter high brow approach it had in my youth (see the excellent Late Junction) which I guess has much to do with the launch of Classic FM. Anyway – seasons greetings to you and your family. Cheers! Brian writes: Matt, no need for apologies: it was a good opportunity to draw attention to the exalted sponsorship of the YouTube initiative, as a matter of fact! But I entirely agree with you about Classic FM’s exasperating habit of playing isolated movements, which does indeed expose them to the charge of dumbing down. All the same, the more serious music gets played on radio or TV, the better, even if it’s one movement at a time. I just wish the BBC would put much, much more classical music on BBC1 and 2. When they do, it’s always beautifully done. Having so little classical music on the television channels that most people watch is a kind of dumbing down in itself. Man shall not live by Radio 3 alone — nor shall Woman (and I agree that Radio 3 isn’t the austere purveyor of challenging classical music that it once was). Happy Christmas to you and yours, and may 2009 be a lot better than 2008 has been (fat chance!). And if George W. Bush comes your way (unlikely, I know), please don’t throw shoes at him. They would be jolly expensive to replace, given the parlous state of sterling…. Just get out that flute and start practising for the YouTube S.O.